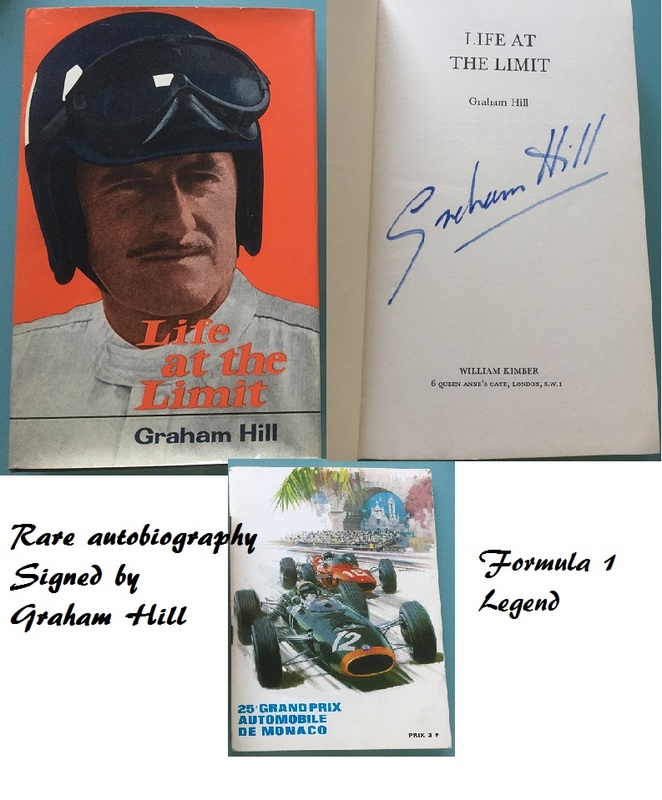 Here we have a rare 1969 autobiography of Graham Hill - "Life At The Limit" - signed by the F1 legend himself ! who was twice Formula One World Champion. either the Monaco Grand Prix or Formula One World Drivers' Championship. crashed near Arkley golf course in London, while attempting to land at Elstree Airfield at night in heavy fog. and designer Andy Smallman; all from the Embassy Hill team. Note: The rare 1967 Monaco program is not included / available separately.